Based in Bristol, Zoe Power is an illustrator, painter and mural artist (to name but a few of her talents). 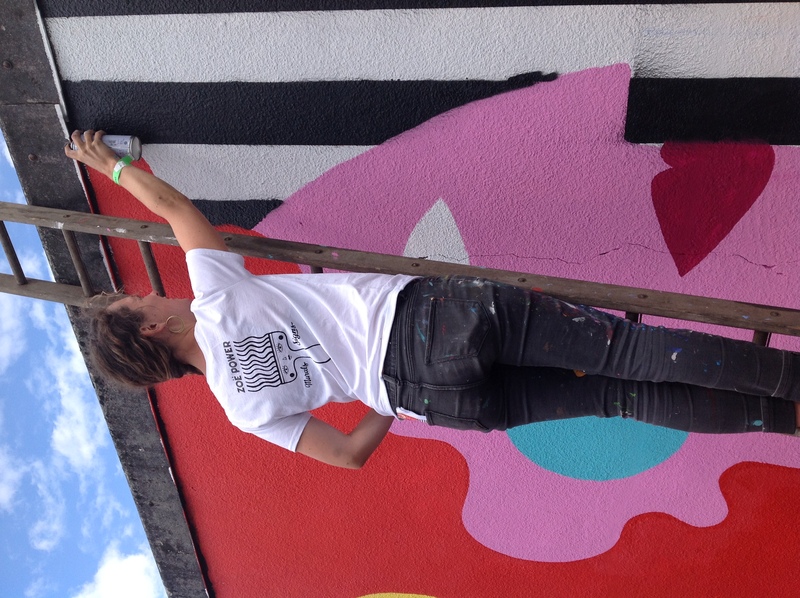 Her bold typography and colourful murals can be found across the city, on walls and shopfronts, as well as featuring on the Bristol pound note and as part of the Gromit Unleashed trail. Recently her distinct art was on show as part of ‘Upfest’, Europe’s largest street art festival which takes over Bristol every Summer, showcasing the best graffiti art there is to offer. 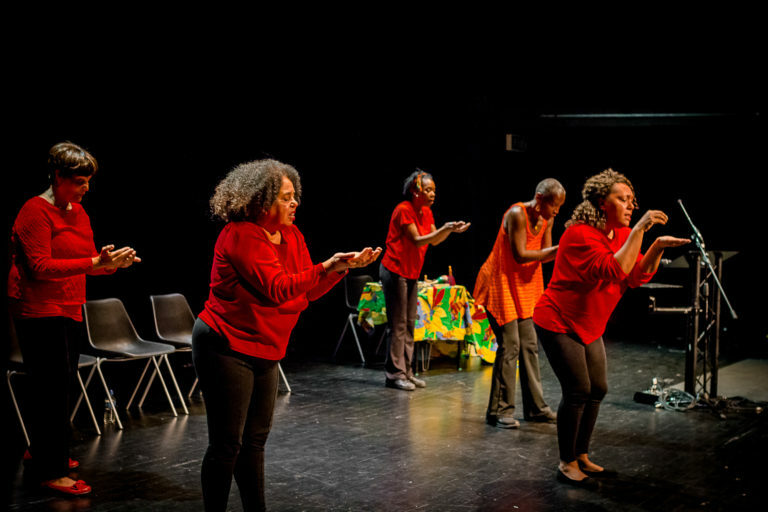 This year, she was commissioned by Bristol Women’s Voice to create a piece celebrating the 100thanniversary of women gaining the right to vote in the UK. BWV caught up with Zoe to find out more about the artist, and her new piece. Hi Zoe, could you tell us a bit about yourself? I’m originally from Cardiff, but moved to Bristol with my mum as a kid. Having left to study Anthropology in London and then to explore Canada for a few years, I’ve now been back in Bristol for 3 1/2 years. Since coming back, I’ve tried to fully pursue a creative career and have just finished studying an MA in Print at UWE. Previously I was trying to pursue work with environmental and human rights’ NGOs. I love geeking out and tinkering with bikes. I’m keen cyclist and love the adventurous and ridiculous nature of traveling by bike. I’ve recently taken up surfing, which is mega fun. The people! There are so many wonderful and passionate folks here, doing exciting and bonkers things, it keeps the city buzzing and alive. I started off doing favours for friends, like EP covers or t shirt designs. As I’ve worked in tons of cafes and restaurants, I’d usually end up writing all the chalkboards or painting a mural in the toilet, which did give me an insight into how much work was potentially out there. It has been a slow and steady road for me, especially as I didn’t study art as a degree, so I’ve had to figure it out on the way. Nonetheless, being in Bristol has been a great help as I’ve found the network of artists here really supportive and there have been lots of opportunities to get my work out in the public. What advice would you give to women wanting to create art / yourself when you were starting out? I think it takes a lot of courage to follow a creative career, as often the industry is so uncertain and there’s no clear path to follow. It’s hard, but I think if you can trust in your gut and your abilities, then you will eventually get there. You’ve got to be thick skinned though, so patience and perseverance is really important as it is to not be too hard on yourself. I’ve found it really hard not to compare myself to other folk, who seem more successful, but I know this doesn’t get me anywhere! My drive to make art comes from several places, depending on the project. Sometimes I have an idea which is really exciting; other times it’s because I want to help a project or cause; or it can simply be as I need to earn some cash! What do you enjoy most about creating? Are there any particular themes you are drawn to often? When I’ve the time, I enjoy the process of experimenting and discovering new combinations, shapes, colours and ideas. At the moment, I’m looking a lot at shape and colour overlaps and how they can create new forms on their own. I often work with symbols and colour as well as themes of femininity and typography. What piece are you most proud of, and why? The mural I recently painted for Portishead Lido was a real pleasure to paint and I felt really proud to be able to contribute to such a well-loved community space. The hard-working volunteers we’re so chuffed with the fun, bright chubby ladies I painted – bringing a smile to their faces was an absolute joy. My dream project would be to paint BIG, really big, like, the entire outside of a building, with no limitations on budget. We can all dream, eh? How was Upfest this year? Where there any other pieces you have enjoyed from Upfest? Upfest was great, though a challenge with the rain. I didn’t get much of a chance to properly walk around but from what I did see, I really liked Fem Sourcell’sdreamy piece and Bex Glover always paints a treat. Would you describe yourself as a feminist? 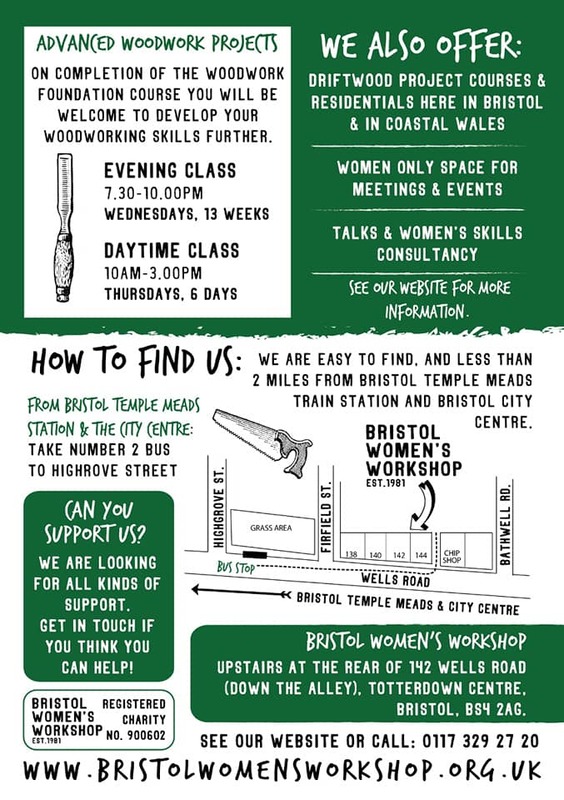 What are your thoughts on gender equality, particularly your experiences as an artist and in Bristol? I’m definitely down with women’s liberation – I’m a feminist. Regarding my thoughts on women’s equality in the arts, I think that the main gendered difference that I’ve seen in the arts stems from a lack of confidence. It’s up to us to not put up with underpaid, overworked gigs. Confidence, ladies -our time has value! Plucking up the courage to occasionally say ‘no’ and to quote fairly, would go miles for equality in the industry. Did you take part in the 100th anniversary of women receiving the vote? What does 100 years of Suffrage mean to you? My Upfest mural was a pretty big nod to the 100th anniversary. It features slogans from the Suffragettes’ banners ‘Deeds not Words’ and ‘Thro’ Thick & Thin’, as well as references to imprisonment, struggle and solidarity. The 100-year anniversary definitely illustrated how far we’ve come in such a short amount of time. Along those lines, it’s also important to remember that we live in a wildly privileged bubble and that there is still so much work to be done for women’s liberation around the globe. Resistance is fertile!